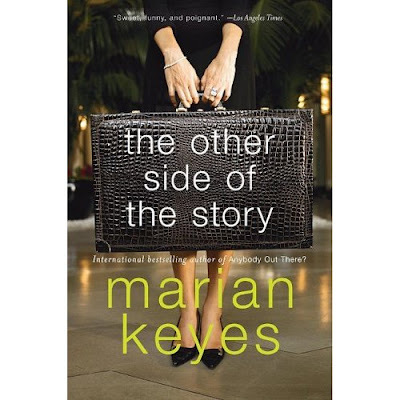 The Other Side of the Story was the first Marian Keyes book that I read. I am not a fan of chick lit but I thoroughly enjoyed this one. I read it on a bus ride to Maryland, and I couldn't put it down. Ms. Keyes humorously yet sensitively tells the tales of 3 women: Gemma Hogan, an events planner whose parents' marriage just fell apart, leaving her to care for her mother. She exchanges email with her other friend Susan, who forwards the letters to Jojo Harvey, a literary agent having an affair with her boss. And to add to the mayhem, there is Lily Wright, best-selling author and Gemma's ex-bestfriend, guilt-ridden over marrying Gemma's ex-boyfriend. Jojo also happens to be Lily's agent. Aside from their problems with men, motherhood, their looks, money, parents, what fascinated me the most was the inside look on the publishing world. The back and forth bidding wars, offers and counter-offers, book reviews, tours, book signings,deadlines, etc. Of course, the characters themselves are very likable, believable and relatable, and I loved the one-liners. As you see different sides of each story, you'll find your sympathies switching from one person to the next. So if you're looking for some light entertaining summer read, look for this title at your library or bookstore.